Experiencing abundant joy and dynamic power is possible for every Christian today. But first, we need to focus on the life and personality of Christ. Andrew Murray paints a portrait of the Son of God that will increase your desire to be like Him. Depicted in these pages are many characteristics of Christ, including His compassion, His self-denial, His oneness with the Father, His prayer life, and His use of Scripture. You will discover how you can have a full life in Him and how you, too, can reflect he life and love of Jesus in your daily walk. Full Life In Christ by Andrew Murray was published by Whitaker House in October 2000 and is our 39346th best seller. 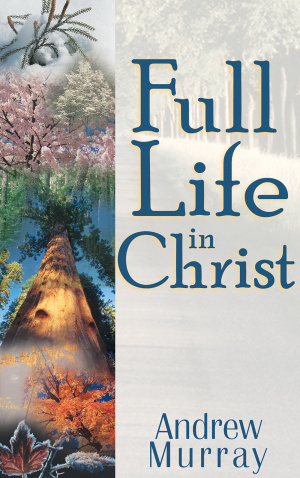 The ISBN for Full Life In Christ is 9780883686393. Be the first to review Full Life In Christ! Got a question? No problem! Just click here to ask us about Full Life In Christ.